Vinicius Kattah, foto: súkr. 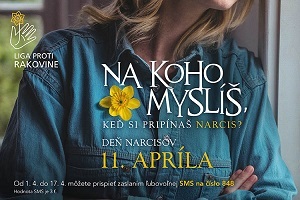 archív V.K. 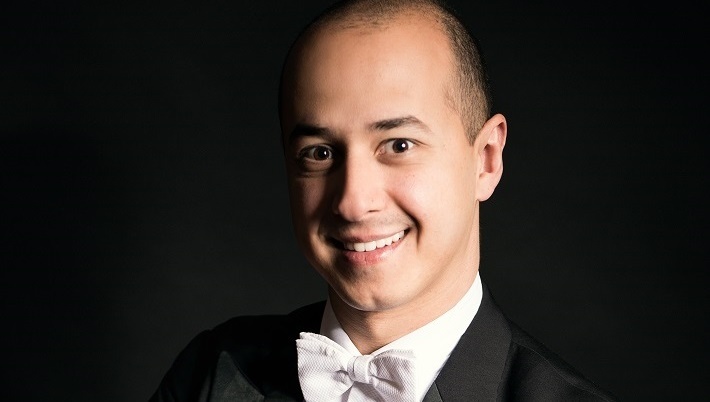 Opera Slovakia brings interview with a young talented Brazilian conductor Vinicius Kattah, who featured the musical part of the last opera and ballet premiere in the Slovak National Theatre which took place on September 21 and 23, 2017 in its Historical Building with two Maurice Ravel’s pieces, an opera L’heure espagnole and a ballet Dafnis and Chloe. 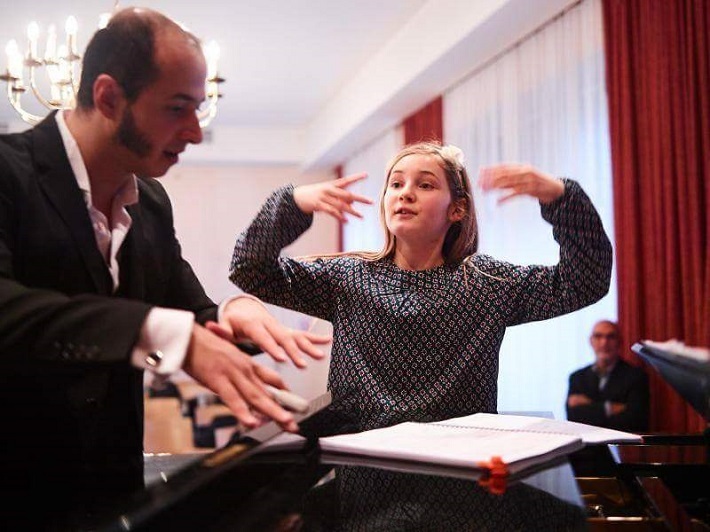 Besides the subjects considering these two pieces he explained us the work of conductor in more detail, we spoke with him also about his project Tutti Mozart and his close cooperation with the prodigy Alma Deutscher on her opera Cinderella. At the beginning I would like to ask how do you feel the situation of conductors in the world now? I think, for the young conductor it is, of course, always hard. When I was really young I won the competition (Blue Danube International Opera Conducting Competition, 2011) and after then I started working. I came to Bratislava, I started working in Vienna and in a lot of various opera houses as well. 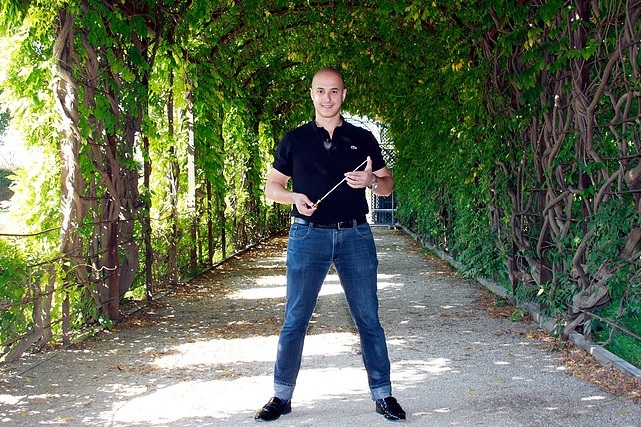 For me just this was really a great luck because the young conductors often have quite a little chance to conduct the real orchestra or an opera. At the same time this was also the best school I ever had because, I think, the best way how to learn my job is the real conducting. Thus, I started to conduct many various pieces very young aged and just this was what helped me a lot. Did you have any supervisors or somebody who advised you during this time? In the beginning I had, of course, many teachers. I also discussed with them every time ahead a new opera, especially with somebody who already conducted it for learning a little bit and for seeing some important details but I always say to anybody that the best conducting teacher is himself. It can be done by this way but the self-attention must always be paid and in my case it was really like that. I was often thinking, for example, why the orchestra did not work in the way I wanted or why the singers did not react to me as I expected. After such experiences I every time changed my approach a little bit until the result got as close as to the perfection. So this means that the most important for you was the practice with orchestras. Anyway, which role played schools in your professional growth and maybe some personalities behind you? Well, I think, it was a little bit of everything but the real turn point was when I started to know what I would like to do an to really believe on my dream. It was my first Tosca in Bratislava. Yes, because in those times, it was 2011, I won the competition in the age of 25. 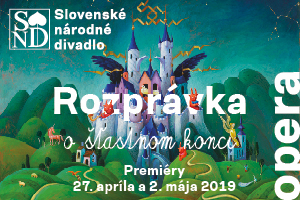 Subsequently I spoke with Peter Dvorský who asked me which opera I would like to conduct in the Slovak National Theatre and he showed me all the operas of the actual season´s repertoire. I remember that I was asked if I wanted to conduct The Magic Flute. I love this opera as well but I wished something else. I said “Tosca” because just this opera was always a dream of my life, I wanted to conduct it. I love Puccini but it is extremely hard to conduct his pieces, especially Tosca. It is needed to know the music really well and I really wanted to obtain something what I knew about that I have to study it for preparing myself really responsibly for working it out. This was very important because I got only one rehearsal with singers, one general rehearsal and then – let´s go on the stage. And now I see that conducting Tosca in my age of 25 was really beneficial for me and it was a real turning point in my life. Yes, Mr. Jakubek called me and told that many singers and musicians of the theatre’s orchestra spoke about me remembering my conducting here. We met and I got this opportunity. It seems that in spite you are a young man the members of orchestra respect you quite well although most of them are rather older. How can you achieve this? The question how to make people accepting me was always very important for me because I am probably the youngest one considering the whole orchestra and the singers as well but it seems that I have never had such a problem before. Almost always everybody really accepted me and I think, if somebody shows a good work and respect to people with whom he collaborates they respect him back and therefore he can do a good job. I mean it has been always like this and this is a right way how to work. But I really never had a problem with authority, even in very young age. Yes, I think, if somebody really shows, that he knows the music of the piece well then there is no point for people why not to respect him. I mean, even if the conductor with many years of experience comes to rehearse without knowing the music of the given piece, the musicians would not respect him as a young conductor who knows it. There is, of course, a huge amount of people in the orchestra awaiting that the conductor has a good knowledge on the piece. Therefore, I never come to rehearsal without it. The study must be, of course, very intense in order to be able to present any opus. 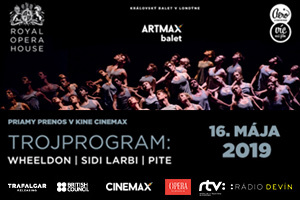 The last premiere in the Opera and Ballet of Slovak National Theatre is let´s say double feature of Maurice Ravel´s L´heure espagnole and Dafnis and Chloé. It is accustomed to say that this composer belongs to impressionists but some musicologists say that his music has some features which do not match the real impressionism as we know it from the compositions of Claude Debussy. Could we somehow compare these two great composers? I would say, Maurice Ravel was an extremely intelligent composer and what he never tried to do was the comparing himself with anyone else. I really like that Ravel always tried to make his music in any sort of way. Of course, it is possible to do a huge comparison with Debussy. They knew each other and Debussy was in those times a little bit older so that his work was already more developed. When people already knew Debussy they didn´t know Ravel very well because he was still too young composer but already in this time he never tried to compare himself with Debussy. This is interesting and considering Ravel in relation to the matter of impressionism and other features of his sort of music I would go even deeper. I think, Ravel was a one who tried to get different characters from all his music and also put them in it. For example, an opera L´heure espagnole is almost completely based on the character of Spanish music. In relation with this it is important that Maurice Ravel´s mother was actually born in Spain. He heard many Spanish songs sung by his mother when he was young. She should sing him habanera or various other dances and he recorded it somehow in a music made by himself as a composer. Listening many melodies in L´heure espagnole one would not say who the composer was. But, of course, this is French music, in the vocal parts everything is sung in French but the same song could be sung in Spanish and it would also work well. However, the character is sometimes extremely Spanish. And this should be the important difference compared to Debussy. Debussy did not compose in this way but he worked more with the sounds of the orchestra by transposing his impressions to them. This is right impressionism. On the other hand Ravel worked in a different way. He created different tenses and movements becoming a part of his music. He was, of course, influenced also by Debussy and many other composers. He also had to use colours, and Ravel is for me, if not the best, at least one of the top three best composers among all I registered, who knows how to write for orchestra. Yes, extremely many of them but not in the meaning of the exact citations from older music. Instead of them there are, for example, characteristic dance rhythms. Gonzalve has two beautiful arias One is a slow dance in 3/4 measure and another one a dance in 3/8 measure in a character of a flamenco music with the distinctive bassoon part. When Don Iñigo is singing there are some beautiful wawls which could be matched exactly with Richard Strauss. It really sounds almost the same but in a different character. Which motivation leaded Ravel to compose L´heure espagnole? The last thing we have to know about Ravel is that he was crazy about the clocks. He loved them and he owned a huge amount of pocket watches. As he told, it was really the mechanism of the clocks which made him crazy. It is also interesting how Ravel got idea for the composition of Boléro: he was travelling many times by train and near the railway there was a huge factory making watches. The name of the label was Boléro which he always saw travelling around it. Then he said himself: “Well, a Boléro” and composed a piece with the same name. The same rhythm from the beginning till the end can be heard in it – and it is exactly like a clock. From this point of view it looks comprehensible that when Ravel got an idea to write an opera he had to write it about clocks, of course. It was L´heure espagnole – A Spanish Hour. Everything, the whole music is going on inside a small watch chandlery. Señor Torquemada works for the municipality but he also has a small workshop where he just handles with many clocks makeing them better, building new ones or cuckoos etc. The first what can be heard in the opening of the opera are three metronomes working as clocks, each of them in a different rhythm: one very fast, the second little bit slower and the third very slow. The orchestra begins extremely piano. The clarinets and basses are playing without pauses and rests so that there is no rhythm because the metronomes are fadind out. This is exactly what Ravel wanted to do. Everything begins; Torquemada is working in his workshop. Then Ramiro – a muleteer comes inside, he just has some donkeys and his work is to transport the goods. He comes because the clock which he got from his predecessors was broken. Ramiro is a simple guy with no culture at all but he is very sensible and quite a nice passer. And Torquemada´s wife Concepción is almost the same as Carmen. She has many lovers. There is one day of the week, exactly just when opera is going on, when Torquemada has to leave the office adjusting the main clock of the city. This is an opportunity for Gonzalve to come and be with Concepción. He is a tenor from the opera and a poet. But Ramiro has to wait in the office for Torquemada to come back. Therefore Concepción is extremely disappointed. Suddenly Gonzalve comes and Concepción has a perfect idea to tell Ramiro to get all the big clocks and to put them in her room one floor higher. For powerful Ramiro accustomed to do heavy lifting it is no problem. So he goes but Gonzalve as a poet only wants to think about the music and poems and does not act to make love with Concepción. At this point Ramiro comes back and Don Iñigo appears, a rich banker. Just he was the one who contracted Torquemada to get job outside the home. Don Iñigo would also like to stay with Concepción but he gets stuck in a big clock and cannot get out… Finally, the last guy she thinks about is Ramiro, the muleteer, and just he becomes the one with whom she finally falls in love. Whole story happens almost exactly in one hour. Torquemada has one hour to leave home and Concepción has one hour to be with the lovers. So the story is extremely funny, I think, everybody wants to have a lot of fun. The music is also like that. In contrast to L´heure espagnole in Dafnis and Chloe there is no Spanish character. No, there is nothing Spanish at all. I think that in Dafnis and Chloe Ravel reached one of the biggest masterpieces not only among his compositions but also among those by many other composers. In my opinion, Dafnis is the best piece written by Ravel. It is completely symphonic and for this reason he also wrote two orchestral suits after it as well. In Dafnis and Chloe Ravel reached a point of writing music for orchestra and choir in a way which no other composer achieved. I am quite sure that Debussy was completely astonished listening Ravel´s Dafnis and Chloe. The music brings everything what the story of this ballet wants to say. Everything can be heard in it from the pirates or the old cricks to the howl when Dafnis or Chloe is taken away and Dafnis goes after Chloe because Ravel wrote it in a fantastic way. For me this is one of the most beautiful music in the whole world. Was it really the original Ravel´s idea to use choir in such a way? Yes, the idea of Ravel was trying to explore the choir not as it is usually used but as a part of the orchestra. It is explicit that he wrote the music in this way. It is crazy to think about it but the vocal parts should not sound like a choir but together with the orchestra as its integral part. The idea that in the whole piece which lasts about one hour the choir should sing only “aaa” or “mmm”, i. e. “bocca chiusa”, is magical and fantastic. Of course, there were many discussions on details like how to use the choir with the ballet on the scene, should it sing from the orchestra pit, from behind or should it stay on stage etc. I am not sure if Ravel was quite happy with all these circumstances but at one point when the performances were done at different places where only orchestra and ballet were in disposal he wrote also a version without choir. Therefore Dafnis and Chloe can also be performed in this way, even the middle part where the choir sings a capella can be played only by the orchestra. But I think, Ravel would never give up the choir because it was extremely important for him and I am very happy that we do it so here in Bratislava as well. Yes, but Pelléas is completely different. I do not think that Ravel wanted to do something like that. He enjoyed and liked it, but his objectives for the opera were in the different way. It is interesting that L´heure espagnole was not originally conceived to be presented as an opera. First time it was performed as a theatre play. It was even shorter, only about half an hour. But the success of the opera was really big. Ravel never thought it really as a full length opera; it is a fun opera for people to enjoy it. Is the libretto different from the theatre piece? Yes, there are at least six or seven recordings of Ravel´s operas, two of them were done under the supervision of author himself. I think, there are two early recordings from the fourtees, however, these are, unfortunately, rather bad. Not only due to the sound quality but also because of the whole idea as well as the concept. The singers were fantastic but the orchestra members did not study the music quite well, they probably read it once or eventually twice. The result is that many mistakes in the CD recordings can be listened. As a conductor who studied the score a lot and who knows the score very well I think that none from all recordings of L´heure espagnole I have ever heard can be said “Ah, this one is perfect without any mistake.” Every time a small detail can be found in which somebody does not play in a right way. This is interesting but generally, to play the Ravel´s music is extremely difficult… This is really an opera, which is almost impossible to be done perfectly because there are really many expression positions. What do you think about an idea of putting L´heure espagnole and Dafnis and Chloe together? Due to various reasons, in 20th century accentuated the contrast between French and German music. The French wanted to emphasize their nationality also in music. How did these tendencies reflect on Ravel´s works? The nationalism was huge in those times. The French music was really like a carriage beating a pathway, it should be other than German. But this is characteristic not only for 20th but also 18th and 17th century. However, in 20th century it was really a successful attempt. The French music became really different, they needed these nationalists. And, of course, Ravel liked it as well but Debussy and all other French composers were even more extreme on that. And that is similar to that what I meant before because I think, Ravel was different. For example in Bizet or even Debussy these feelings are even more emphasized because, for example, in Debussy you listen to a perfect French music but for Ravel you cannot say that it is only French. Ravel knew how to take all different colours from all different nationalities and put them together with specific French charm. And that is what I like on him as well. You are at most operatic conductor. Do you also perform symphonic music? The conductors use to say that work with the symphonic repertoire contributes very well for keeping the precision of their work. Yes, exactly. I love both repertoires but, I think, opera even little bit more because when I studied theatre I always loved to sing in spite I do not have a beautiful voice. 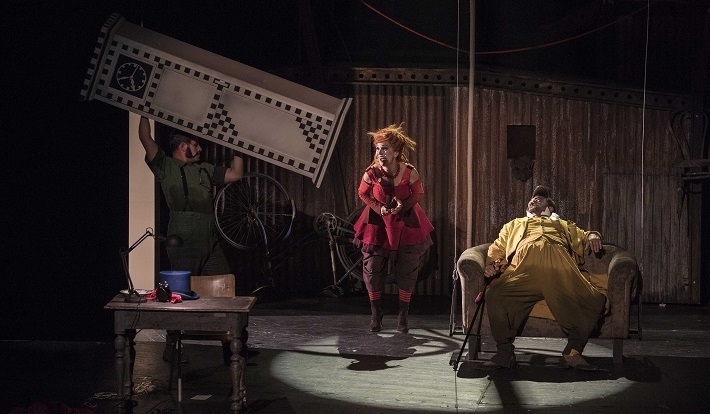 The opera really brings a lot: there is a text, a story and the music as well. I always study what the singer really sings. Doing the rehearsals I every time have to know how to sing the vocal parts, especially if somebody is missing. This is how I prepare the score of an opera. For the symphonic repertoire it is completely different. 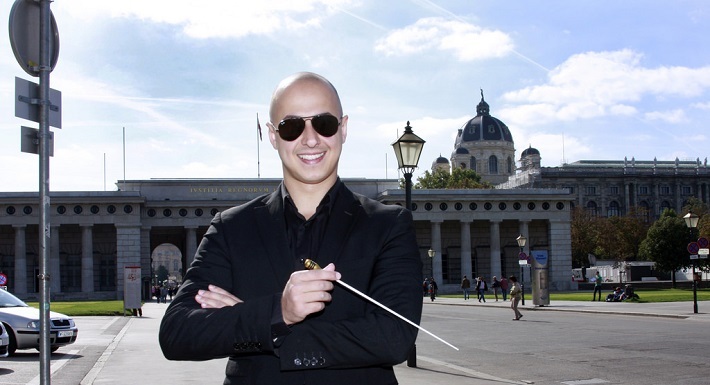 I would say that I love to conduct the symphonic repertoire because for conductor it is also nice when he can enjoy it a little bit more but for me the opera is something even more. Which music are you conducting now? I just conducted Il Trovatore in Kärnten, Austria. The premiere was on Saturday, September 16 and then I came right a way back to do L´heure espagnole and Dafnis. 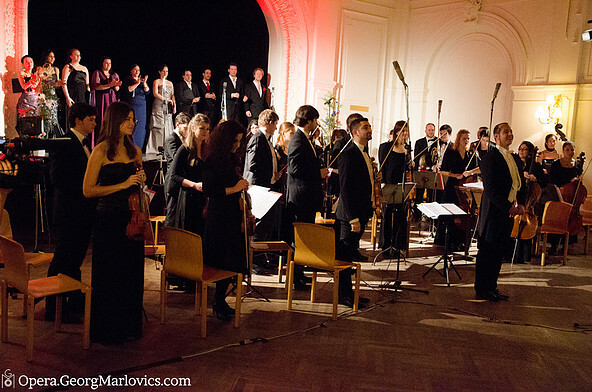 Normally I work with many orchestras in Vienna as well, a lot of Mozart. Considering Mozart, you established an interesting project Tutti Mozart. Could you say something closer about it? Mozart is interesting composer for me also because of a bit strange situation since there are many of his compositions which are, in my opinion, substantial for the development of music but the people almost do not know about them. But this is not the case of Beethoven, for example. Yes, exactly. Beethoven was, of course, a man who was more connected to something what we call modern times, our society, which is nowadays completely different from that in the 18th century. There is already huge difference from times of Mozart to Beethoven´s. And the music by Beethoven is, of course, composed in a different way. He was really one of the first composers who really thought more about the music but for Mozart the most important was the performance. He loved it, he loved to play fortepiano or violin for showing his abilities and improvising always in front of everybody. Beethoven was not this case. Of course that he also played piano extremely well but he thought more about the music and he wanted to write it more than to play it. Anyway, I agree that the people should know much more of Mozart´s music, not just the basic pieces but also other important works as well. Mozart was considered to be a marvellous child. However, it seems that in 2005 another prodigy was born, her name is Alma Deutscher, with whom you closely collaborated on her opera Cinderella. How do you feel the musical abilities of this girl? Oh, Alma Deutscher is very interesting composer with whom I worked. But I have heard about her also before and I also saw some of her videos on an internet. 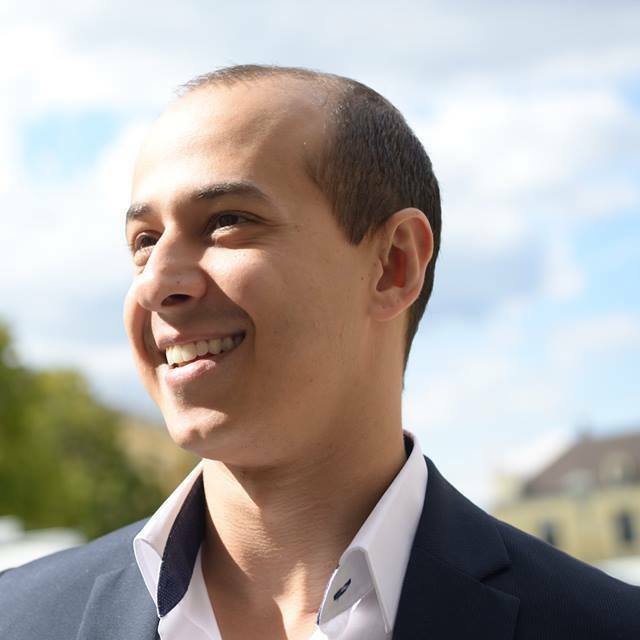 It was at the end of 2015 when I was called and said “Vinicius, we are thinking about bringing this girl to Vienna and we want you to conduct her opera”. In those times she was ten and I did not know what to expect from her. Finally I met her and I got the score of her Cinderella. On the first rehearsal she was extremely sweet, pretty nice and just here I really saw who Alma Deutscher is. She is extremely competent, she knows her music very well and during the all rehearsals she was every time with the orchestra and if anybody played wrong she stopped it and told “clarinets” or “second violinists, this is a wrong rhythm…” She can hear every small detail. Therefore, it is not in the way that she is just somebody who learned how to write a little bit of music and wrote something now. She really knows what is she doing and she really knows what to expect as well. From Alma Deutscher this was astonishing for me. Finally, all the rehearsals and the performances were recorded and a beautiful one hour British documentary film was produced. Her music is quite interesting as well. I would say that she is fantastic because she is learning a lot and a big difference between now and, for example, the year before can be heard. Of course, she is getting still more knowledge about the composers and she is learning more and more pieces. As a result, she is still trying something new in her composing. This is similar to Mozart. The compositions from his childhood are also completely different compared to e. g. Jupiter Symphony composed at the end of his life. What about the structure of her music? The structure of her music is very well built. The interesting feature is that many different composers can be listened in it but it does not mean that it is based on them. No, it is really a beautiful mix in the intentions of Alma Deutscher. I do not think that she learned how to write it, she is just able to do it because, in my opinion, nobody could learn this. There could be learned some rules or, for example, the way how to write for the violin or for the horn, but nobody could learn how to compose. She knows it and this is really sweet. I would like to ask how much time needs the conductor to prepare a performance of the opera which he never done before? It depends a lot but, generally, there are in fact two possibilities. One of them is that there are little rehearsals with the orchestra. In this case I do not need much time. It always depends also on how long the piece is so that it is difficult to say exactly at one point how much time do I need. Just to know how to conduct I could study a symphony in less than one day. For example, if I am said “Well, you have to conduct Prokofiev tomorrow” then I get the score and looking on it I tell myself “Well I am going to conduct this part in four” or “in this part I am going to do a rallentando subdividing the beats”. In this way I am going strictly per se till the end of the whole piece and in such case I can do it in less than one day. But the real study of the score including the knowledge on small nuances or details takes much longer time. But the result is probably better. Oh, of course! If you really know the music it is much better. But sometimes the conductor does not have this time. That is what I learned: it is necessary to really know how to do the job. If the quick performance without rehearsal is approaching, for example, when the conductor is invited to cover somebody –then it is just necessary to know how to conduct it, what to expect, where is forte, where is piano, how is the phrasing going to be. If I know that, I can go on like a traffic policeman: now you go, now you stop, it could be done without big problems. But if there is enough time to work with the orchestra as we were doing it now before the last premiere in the Slovak National Theatre, I can stop the orchestra and change many details considering the tempo, dynamics, sound, expression etc. I would say that to know quite well the music of L´heure espagnole took me approximately one month. The first thing I did was that I set with my score and wrote everything I wanted. I always use many colours for different instruments, choir, soloists etc. and when I had this GPS on my score then I went to the piano and played everything on it. When I am studying an opera I sing every role from the beginning to the end so as to know how to sing it in, for example, French, where to take a breath etc. This is very important because now I can stay with the singers and I know what I can expect. For the orchestra it is the same thing. For example in Dafnis there are many beautiful flute solos. It is necessary to know how to play them with the right expression and correct tempo. I think that for me as a musician the best way how to find it is to play it myself. Especially in pieces which I conduct first time like Dafnis and Chloe now it could happen, for example, that I initially consider better if one selected place – maybe ten seconds of music – would be conducted in two. I do it so but I find out that the orchestra still slows down at this place. Then I go home and think “Well, they are still slowing down – what to do, for the next rehearsal I shall try to conduct in one.” Then I go, tell it to the orchestra, try it and voilà, it is working! All right, for this orchestra it could be better now, but it does not mean that for another orchestra it will be suitable too because each orchestra has a different way of playing. This is also an interesting phenomenon because commonly it uses to be said “Well let´s find a colour for Tchaikovski or a proper colour for Beethoven…” – but Ravel never liked this. He never said that he wants to achieve any stable specific colour or specific way of playing for the given place in any piece. He liked various orchestras with a different way of playing and a different sound. He was looking for the specific sounds of the individual orchestras but respecting, of course, the sound of the orchestra in general. According to him every orchestra has his own sound and colour. How is the situation with opera in your country? Unfortunately, it is getting still worse and worse. We have very good opera singers and two very good opera theatres in Brazil, one in São Paulo, the other in Rio de Janeiro. But these two are almost all paid from the state. It seems that the government does not consider music as quite important. For example, there is the first ballerina from the opera in Rio de Janeiro who is just leaving Brazil because she stayed five months without getting salary. She worked five months for free and still has not get money. Many musicians in Brazil have similar experience. It is, unfortunately, very bad situation because everybody of them have to do art as a full length work, they have, of course, families, they have to pay for house, all taxes and other duties but they do not get the money. It is still very good. But what I think is probably going to be a problem in the future, is a young generation. Because, in my opinion, it does not know how to appreciate music, opera or generally the art. There is a question who will be our audience in 20 or 30 years? Who will attend theatres, who will watch us? If there is a generation of kids now who do not even know who Mozart was – for me this is shocking. And, of course, when there will be still less and less audience then the officials and politics could once start to think “All right, why we should keep that?” I do not think this should happen now, but it might be a problem and my generation will probably have to deal with. Yes, nobody. What I really like, for example, is the activity of the Slovak National Opera on social networks. It is really good when there are different videos or proper statements which you can show to the young people because all of them as well as kids are on the internet now. Almost only way how to attract them are social networks and if it succeeds we probably won them. However the real quality must be offered there. This is what the whole world is trying to do now at all. Big theatres and concert halls are now all working with internet really extremely. Actually, I really like it and I mean that they should do even more. It should bring fruits and this is exactly what we need because if we lose the audience in the future that will be our end. Thank you very much for the interview. Finally, what else would you like to say to our readers?